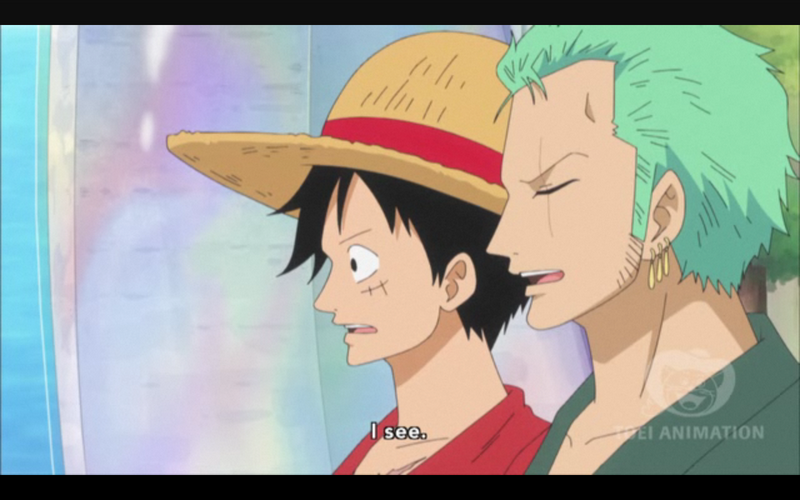 Anime Reviews: One Piece Episode 522 – Everyone Together! 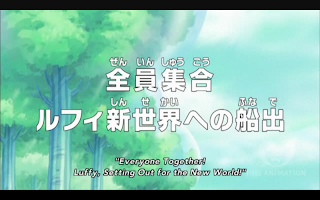 Luffy, Setting Out For The New World! The review may be short, but the episode was good. 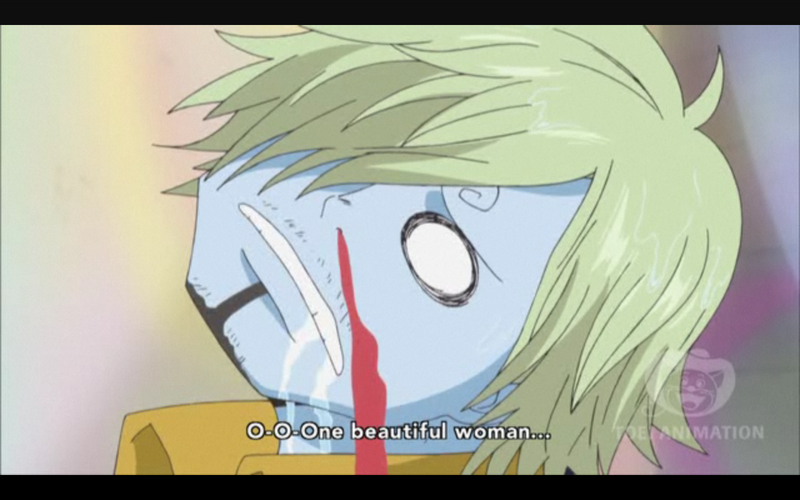 There’s some painful moments for Sanji fans, and some decent comedy for everyone else. Rayleigh flashbacks to the year and a half of training with Luffy. He steps in to help Luffy and his crewmates escape. Luffy, Zoro, and Sanji are attacked by marines at every turn, but get some help from Perona, who helped Zoro find his way to the island. 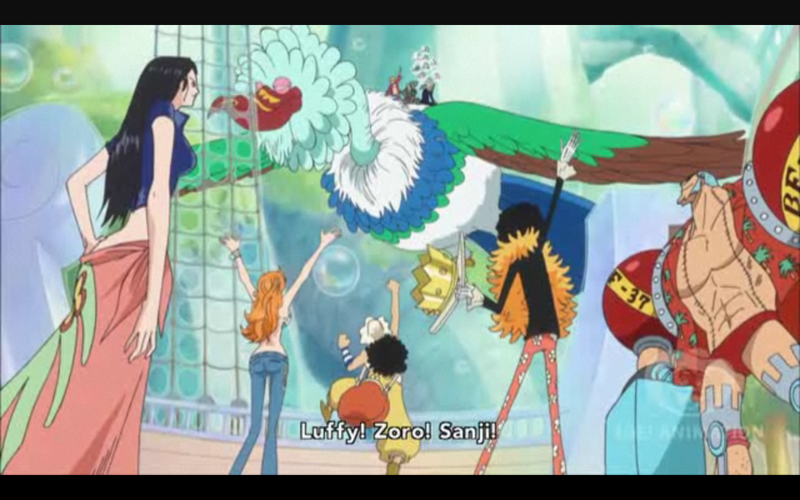 Chopper arrives on one of the giant birds he befriended, and picks the three up. In the meanwhile, Brook makes it back to the crew. After giving him his moment, the remainder of the crew arrive. They make ready to escape the marines, and are helped by all the friends they made in the past two years. Hancock arrives to block the path of fire of the attacking marine battleships. Franky inflates the coating, creating a bubble around the ship. 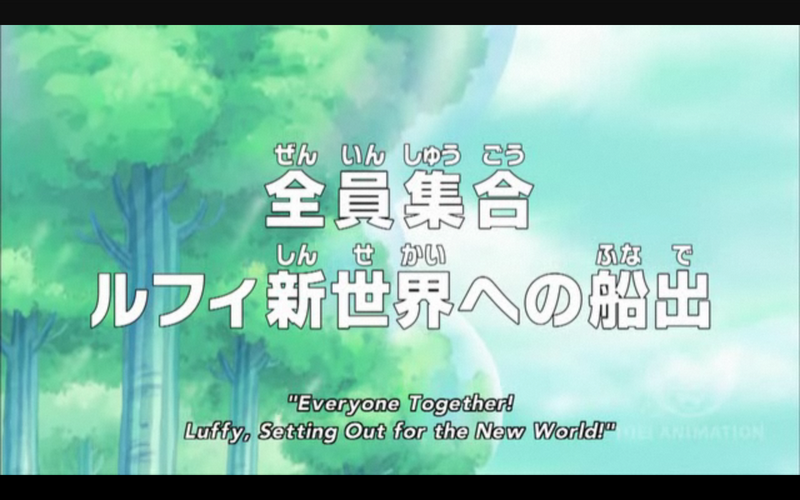 At long last, Luffy gives the order to set sail for Fishman Island. 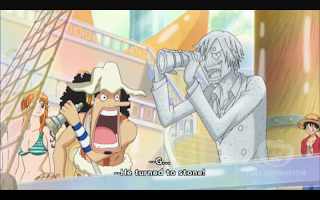 A while back I complained that the reunion between the strawhats lacked a certain gravitas. This episodes goes a ways to rectify that. The music was very fitting, and now that the entire crew is back I got a much stronger feel that these are friends reuniting after years apart. Unfortunately there’s no time to savor the moment as they have to escape from the marines. Funny how the anime likes to drag out the worst scenes, and the one moment that could use some more time gets rushed. 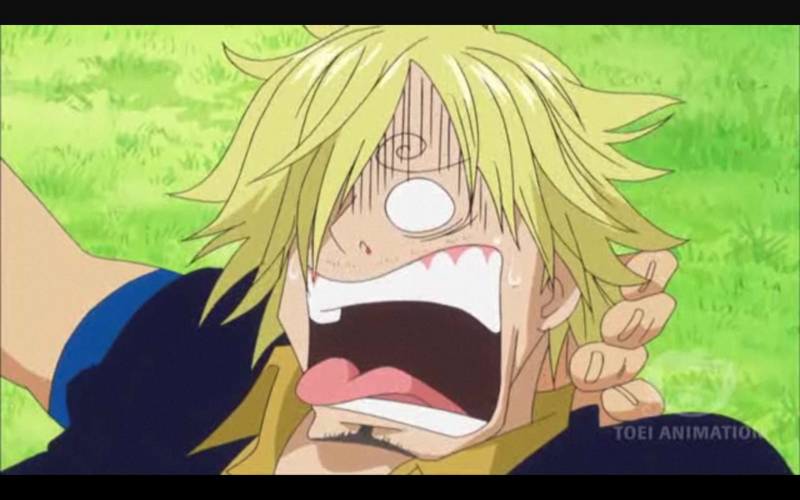 Sanji’s moments were funny, at least to anyone that isn’t too fond of Sanji, or is ambivalent towards him. While I enjoy his moments, to an extent, I did feel a twinge of pain for all the Sanji fans. But that aside, it’s finally time. We’ve been waiting years for this, finally the crew is back together, and heading for Fishman island. 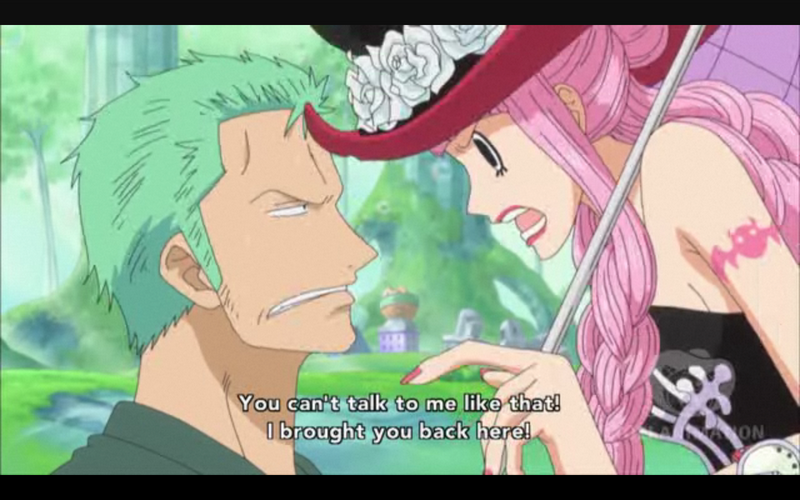 Previous Post:Anime Reviews: One Piece Episode 521 – The Battle Is On! Show Them What You Got From Training! Next Post:Anime Reviews: One Piece Episode 523 – A Surprising Fact! The Man Who Guarded The Sunny!